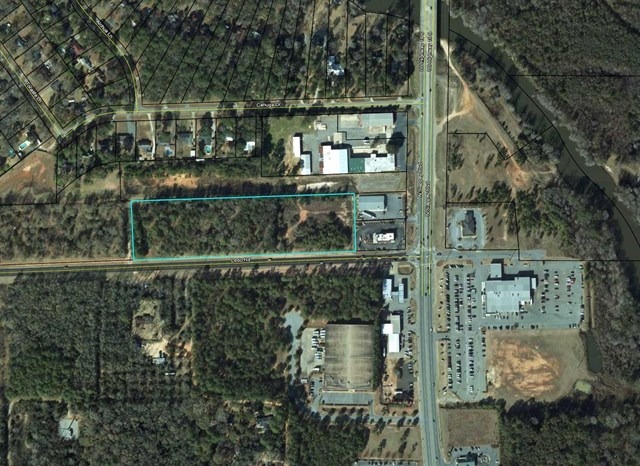 LEE CO. COMMERCIAL SITE PRICED TO SELL. 7.37 ACRES with 1,100 ft of frontage along Ledo Rd. near U.S. 19 South just behind Wendy's and Dollar General. Excellent commercial site for office, warehouse or retail business. Great visibility with plenty of frontage on Ledo Rd. Public sewer and water accessible.